This 4x4 playhouse offers the same quality and excitement of the Snug playhouse with the addition of a tower and slide, offering more space for your children to adventure. 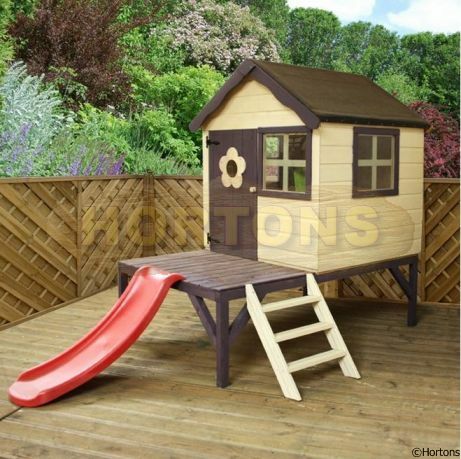 The playhouse is set on a timber tower with ladder access and has the possibility of an extra slide attachment to the front. 3 fixed styrene windows with crosses provide a safe and shatterproof alternative to glass. The roof and floor are constructed with a solid sheet board offering a secure and sturdy base to the buildings.